Modern room for up to 2 guests, with a double bed with duvet and 1 extra single bed. Modern and welcoming design, LED TV, WIFI and separate comfort shower and basins. Ideal for families, couples or friends. Are you looking for quality, affordable accommodation close to Bilbao? 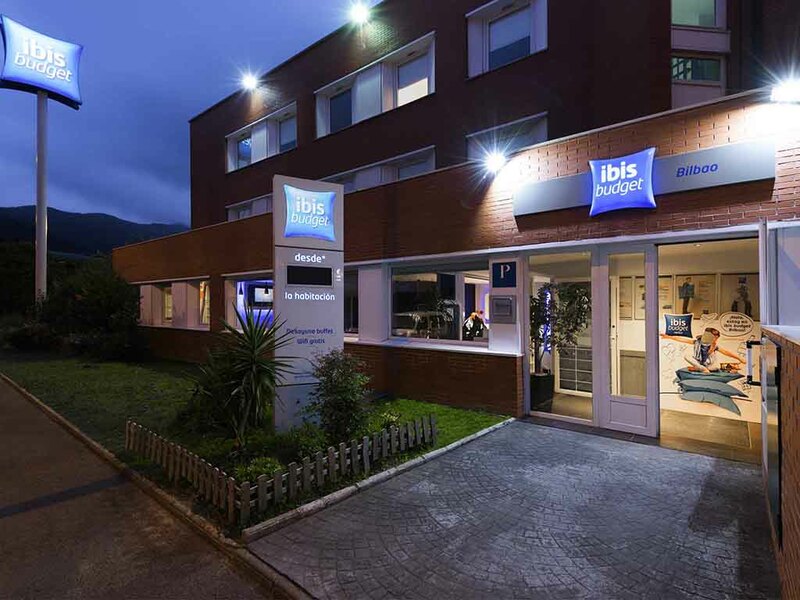 The ibis budget Arrigorriaga hotel is the place for you! This hotel is located 4 miles (6.5 km) from Bilbao, and 6.2 miles (10 km) from the city's main tourist attractions. Like all ib is hotels, the establishment is modern and welcoming, with comfortable rooms to ensure you enjoy a relaxing stay, equipped with WIFI, air conditioning, heating and LED TV. Pets are welcome at our ibis budget hotel in Arrigorriaga.